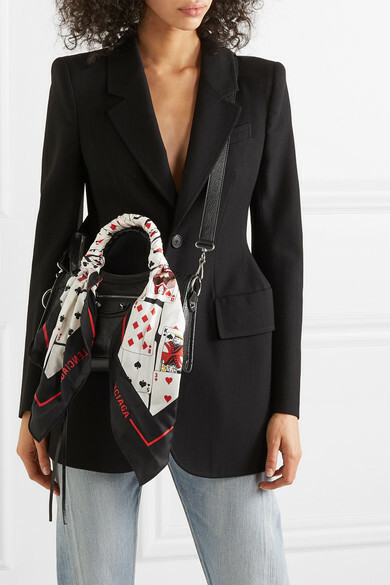 Tying a scarf to the handle of a bag is such easy way to update a simple style - which is exactly what Balenciaga did with this version of it's signature 'Classic City' tote. 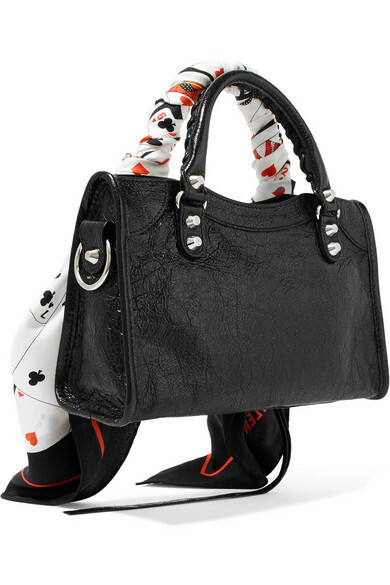 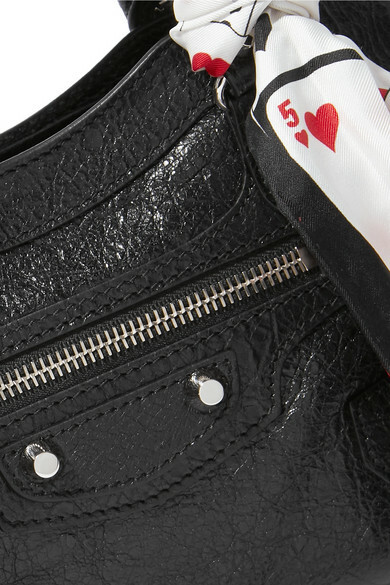 Crafted in Italy from textured-leather, it has two top handles - one of which is wrapped in silk-faille decorated with playing cards - and a compact interior that offers just enough space for a slim wallet, cell phone and compact. 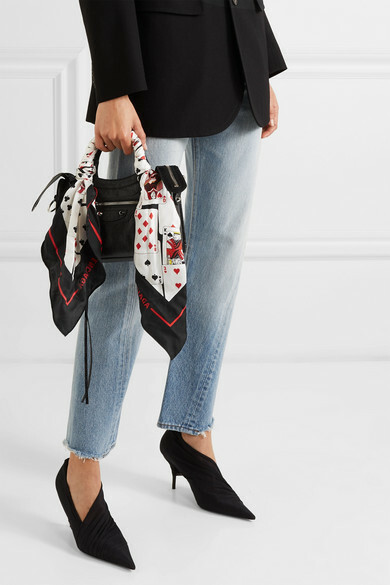 Shown here with: Balenciaga Jeans.